Gerald Levert was an American R&B singer. 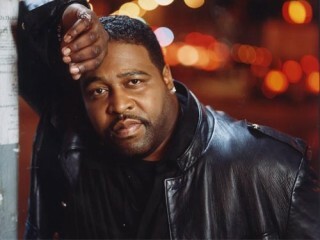 Gerald Levert sang with his brother, Sean Levert, and friend Marc Gordon in the R&B trio LeVert. He was also a part of LSG, an R&B supergroup comprising Keith Sweat, Johnny Gill, and Levert. His father, Eddie Levert, is the lead singer of the 1970s soul group The O'Jays. On November 10, 2006, Gerald Levert was found dead in his bed at his Newbury home when a cousin tried to wake him. Initial reports stated that Levert had died of an apparent heart attack. In February 2007, an autopsy report conducted by the Cuyahoga County coroner's office concluded that Levert's death was caused by a fatal combination of prescription narcotics and over-the-counter drugs. View the full website biography of Gerald Levert.